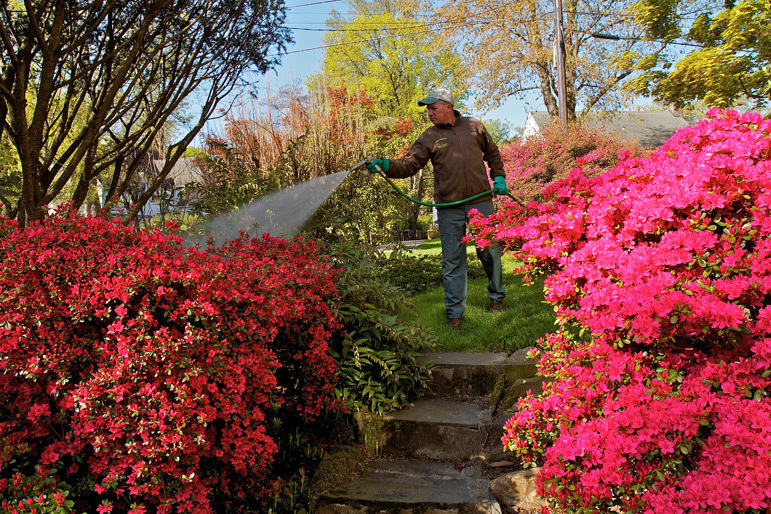 Plant Health Care | John B Ward Co.
Bill O’Neil, ISA Certified Arborist, applies a foliar spray in Rosemont. We are constantly researching to bring you the safest, most effective controls available. This photo also reminds us of the amazing beauty that will be here in the spring! As I write this, we are having the first break from the bitter cold of January. 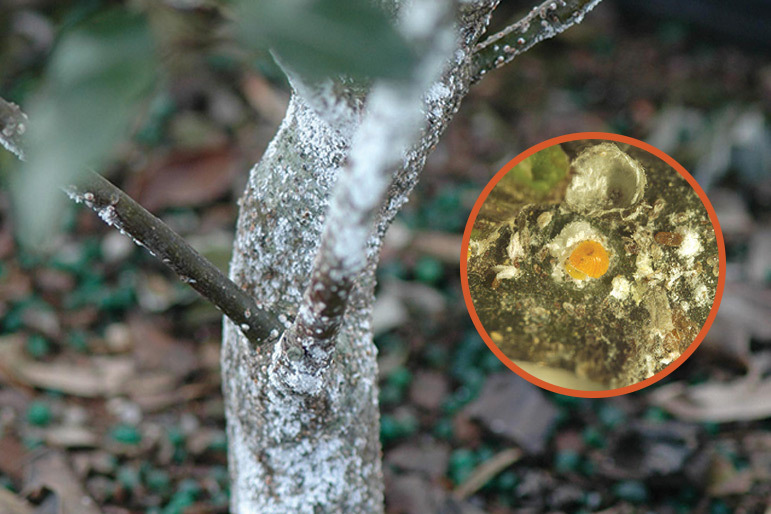 We do expect to see the usual winter desiccation on some broad leaf evergreens, but the consistent snow cover should help keep the established plants from having devastating damage. 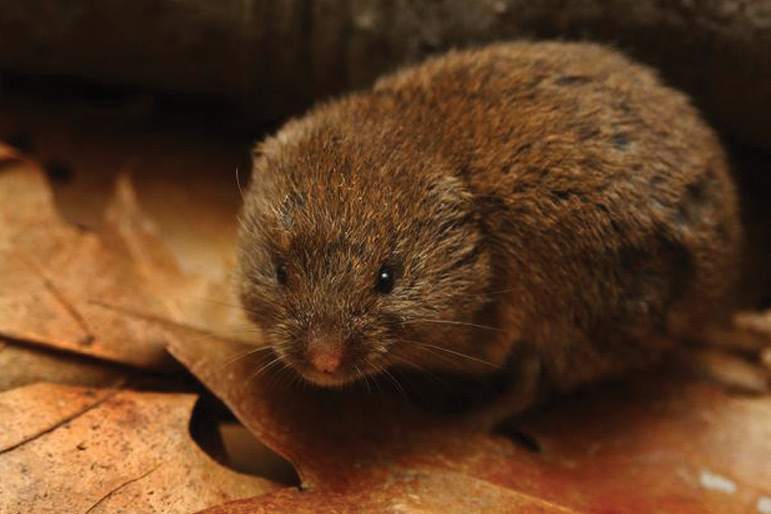 We will also be on the lookout for vole damage. A long period of snow cover leads some small mammals to look at our ornamentals as a source of food. Hopefully, this extended frigid period will have some effect on overwintering pest populations so that some of the tremendous infestations we have seen in the last few years will subside. 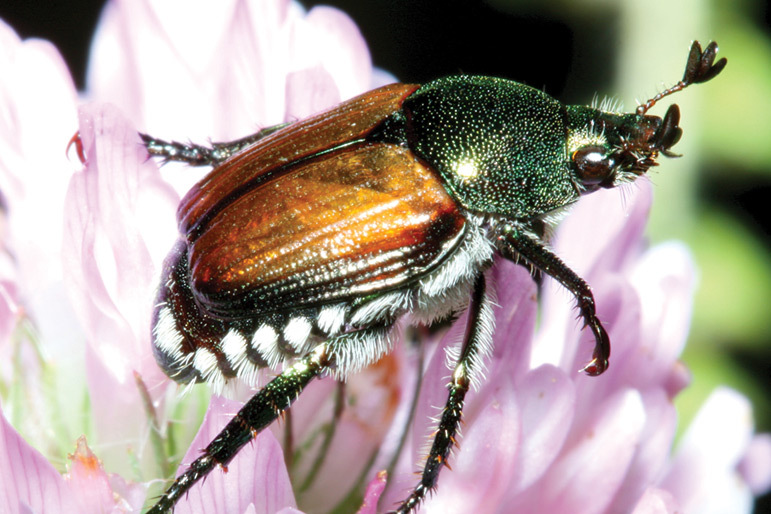 It has been almost 10 years since we have had a really significant Japanese beetle outbreak in southeastern Pennsylvania. There were some scattered infestations in Delaware and Chester counties in 2013, and there was adequate moisture in the soil last summer to support their egg laying. I am tentatively predicting a significant population of Japanese beetles this year, especially in areas adjacent to large fields and pastures. If you would like a preventive treatment done on your susceptible ornamentals, or would like a monitoring visit, please contact us. 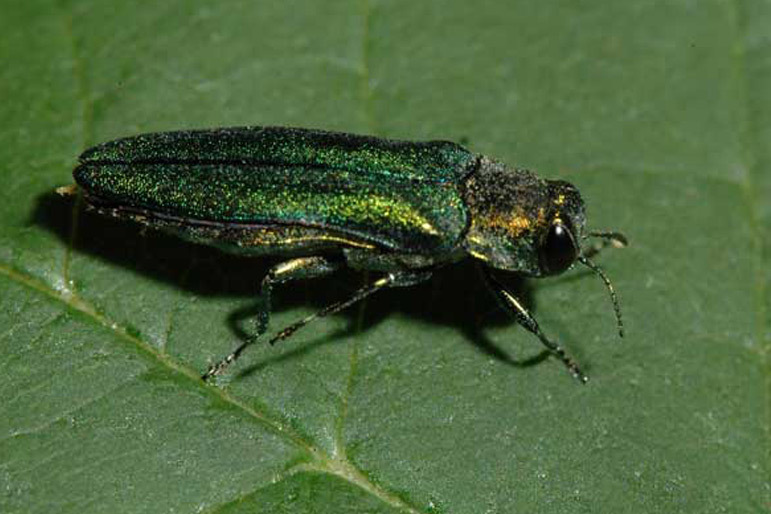 The Emerald Ash Borer (EAB) is an invasive insect from Asia that feeds on and kills ash trees. Since being discovered in western Pennsylvania in 2007, it has moved steadily east and was found in northern Montgomery County in 2013. 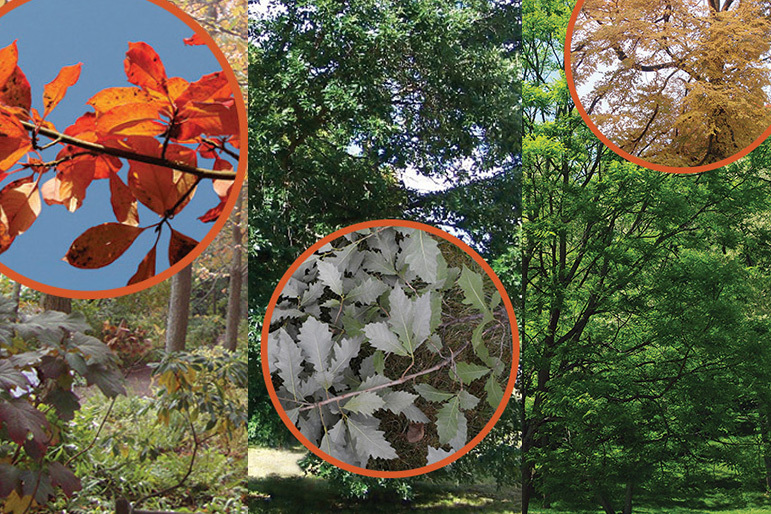 Now that EAB is close to the Main Line, we feel that it is time to start protecting valuable ash trees. 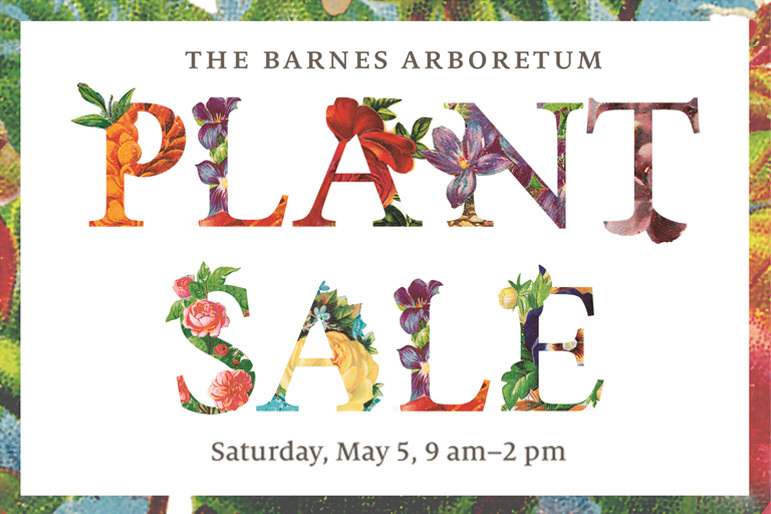 If you would like us to inventory your ash trees and discuss treatment options, please call our office to make an appointment.